Crafting an effective email strategy is more important than most people think: in 2017, more than 269 billion emails are sent daily. The 10th Email Marketing Industry Census announced last year that email marketing has a better ROI than SEO and PPC! Needless to say, email marketing is an important pillar in any marketing campaign. Emails are an efficient means of contact between businesses and their customers. They help businesses share information, company news, and upcoming promotions. In a #MarketingMonday segment from earlier this year, we discussed the importance of generating an email list. This week’s #MarketingMonday segment highlighted two different types of emails: informative and sales. 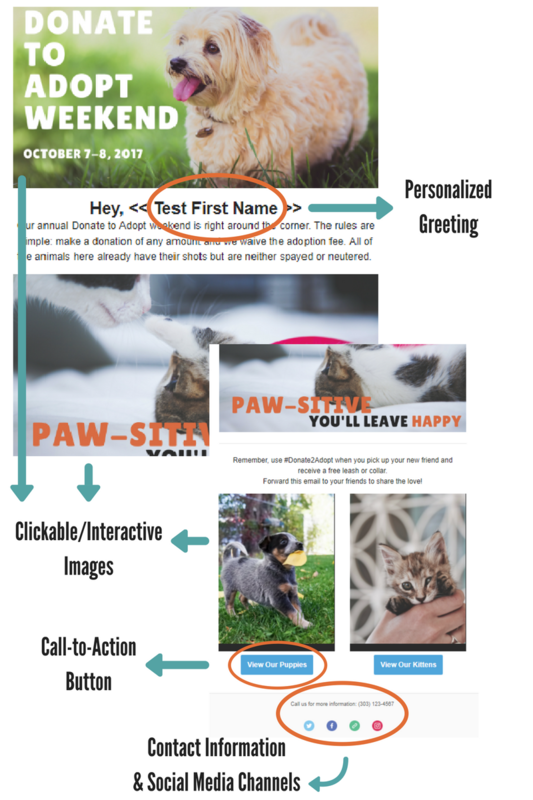 This post will expand upon developing an engaging and successful email campaign. When addressing an individual, personalizing the rhetoric makes the message sound genuine. For that reason, we use the recipient’s name in our greetings and subject lines in our email messages–we aren’t writing individual emails either! Many email platforms come with widgets and features that will generate a recipient’s name upon delivery. If applicable, include the recipient’s buyer/consumer behavior in the email. 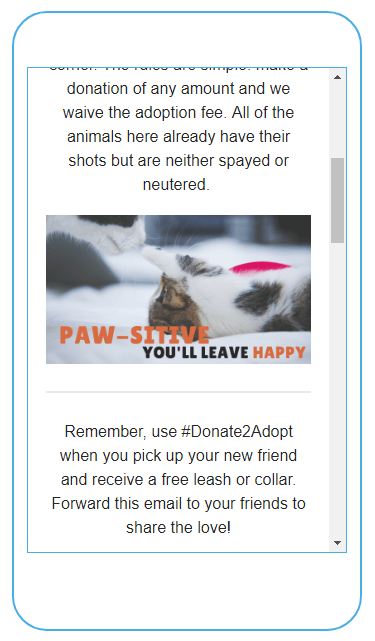 Segment the email list by buying behaviors to customize messages depending on the audience. 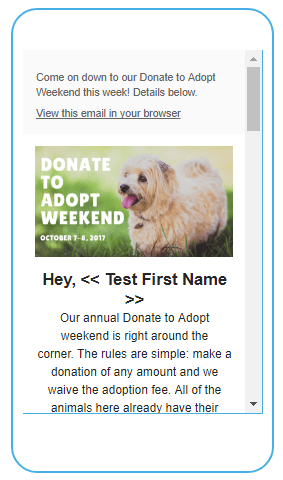 A good place to incorporate personalization techniques in email newsletters would be at the start. When people sign up to your mailing list, be sure to collect as much relevant information as possible, such as city, interest level, and so forth. This will help you understand the recipient better than a name and an email address. #ProTip: Avoid coming off as a faceless corporation as much as possible. A Jupiter Research Study claims that 11% of marketers don’t segment their email list. Ironically, segmented email lists improve conversion rates by 355% and revenue by 781%. We touched on this earlier, but segmenting an email list helps the sender discern the type of messages sent. Segmentation is essentially targeted marketing. If Forever 21 were a client of ours, we wouldn’t send the same promotional email to someone in Alabama as we would to someone in Colorado. Ignore the prominence of mobile devices in our everyday lives if you’d like: a 2017 Litmus study revealed that more emails are read on mobile devices than on desktop computers. Because of the ease of accessibility, this trend of reading emails on mobile devices will inevitably grow larger over time. Double check what dimensions and other specifications that your email platform requires. Faulty dimensions can distort the layout of your emails on mobile devices. Gartner survey adds that 74% of smartphone users check email on their phones. BlueHornet found companies with unresponsive, ill-performing mobile emails were deleted at 80.3% with a 30.2% saying they would unsubscribe. 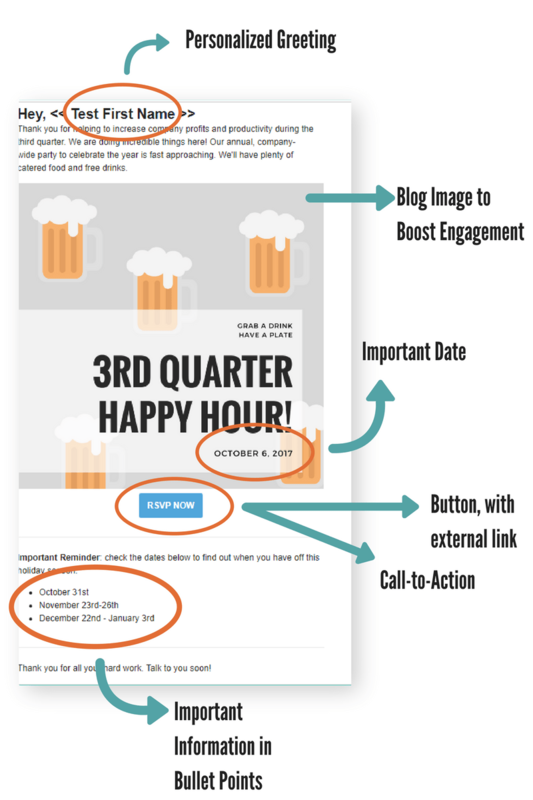 An email’s design and its interactive buttons improve engagement with readers. Designs should be on brand, cohesive, and have a regular theme to it. 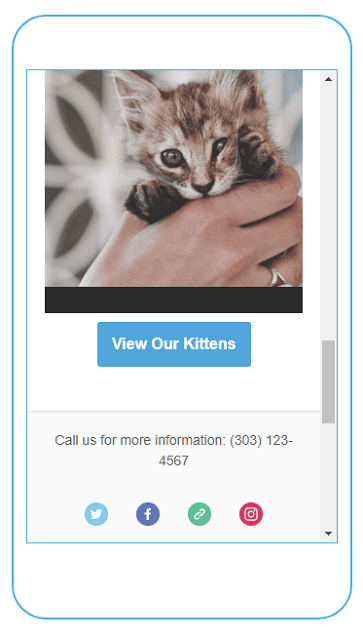 Buttons should have a call-to-action text to encourage clicks such as order now, shop today, find out more, click for an estimate. In addition to design, testing and analyzing email performance is equally important. There are a few programs that can do this analyzing for you. A/B test your emails to determine which perform better with certain audiences. Check who opens, clicks and converts through email. Check which buttons perform the best and why. This information helps segment the market and better target specific audiences. This section is short and simple; automate when possible! It is hard to always be accessible to send emails. That’s where services like MailChimp, ActiveCampaign, and Get Response can help lighten the load of a routine email campaign. Important dates – This is easy. What dates are most important to your brand or business? Once you have the dates/information, draft the email. Holidays – We said holidays but don’t get confined to only holidays. Are there any other dates or events that will pop up in between your important dates? If so, they will be excellent placeholders until your next email. Automate or Schedule – This is the easy part. Once you have written and compiled your emails, schedule them. Either manually send them out by using a content calendar or plug the dates into an email platform and let the platform send the emails. 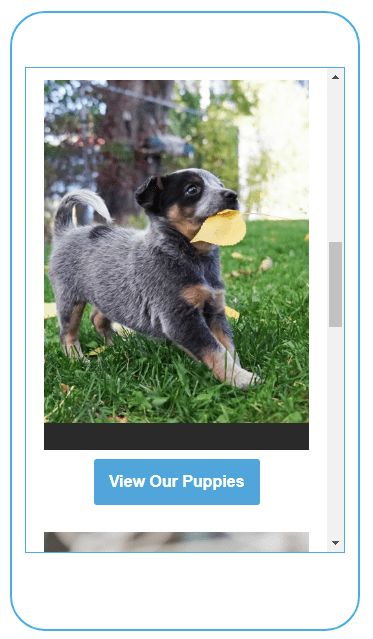 One more example in our guide to crafting an effective email: the sales email. There are many different strategies on how to affect conversions and clicks but we aren’t exploring any of those. However, we do recommend sending a follow-up email to customers that have added items to a shopping cart but failed to make a purchase. This a big deal! Especially when BigCommerce quotes a study that claims that abandoned cart email reminders “recover 15% of what would have otherwise been lost revenue.” Ken Harrison, CEO of Enjuku Racing, also added his two cents: “In our first eight months, we recovered more than $425,000 in sales using abandoned cart emails”. Working with an online marketing agency can be a highly rewarding experience for a small business owner who is ready for growth and wants to focus internal resources on other aspects of their business. Schedule a 15-minute consultation with us today to learn more about how we can help you with your online marketing.